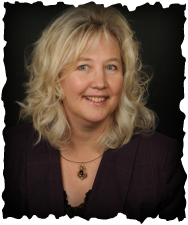 About the Authors - RPJ & COMPANY, INC.
​Kathleen Schubitz is a dedicated woman of God who has turned life’s hardships into stepping stones for success. Pressing through an oppressive childhood and life-threatening abuse and sickness as an adult, she has turned tragedy into triumph and devastation into dedication. She has not only overcome her own hurtful situations but, through her victories, she is helping others to find healing and purpose as well. She is an accomplished author, speaker, and business woman. As a poet and writer, she has penned over 100 poems, many of which have been included in her book, ...In His Presence, and is founder and president of the publishing company, RPJ & Company, Inc. (Righteousness, Peace, and Joy) which was formed in 2004. Her published works include several books from other authors as well as her own. In ministry, she desires to see women live and walk in total freedom, healing and wholeness. Jane Crosbie Wittbold was born in Canada, reared in South America, and returned to Canada to finish her secondary school education. She then came to Florida to attend College, whereupon she met and married William John Wittbold. They lived together for many happy years, giving life to a daughter, Katherine, and a son named John. Life was good until the dark hand of alcohol took its toll upon them all. It was at her lowest point that she met God and soon led her husband into God’s Kingdom. When the time was right they opened a four storefront ministry in Cocoa Beach, Florida. It was called …in the Name of Jesus Ministries. It was a ministry in which the power of God was present to heal, deliver and set the captives free. She worked there with her husband for seven years and then upon his departure for heaven, she continued without him for another seven years. It was soon after his departure that she visited with Dr. James Wesley Smith, of La Grange, Georgia. He had heard the instructions of the Lord to prepare her for ordination. It was arranged by men but directed and completed by the Holy Spirit. She now lives in Winter Park, Florida, and attends Calvary Assembly Church. Her life is full and happy while Jesus still holds His role as husband in her life. In her Christian walk, she was reared in a devout Roman Catholic family. In this home environment, she and her siblings were taught the power of prayer and the value - practical and eternal – of abiding in God’s principles. In the early 1980’s she felt the need for a closer walk with God and began seeking until she found the group that met in Elsie’s home. She became what is termed a “Spirit-filled Christian” at that time. Since that time she has been a member of Assembly of God and non-denominational full Gospel churches. She has served as co-leader of a single parents group, been a member of a prayer ministry team, and most recently served as a member of a healing ministry team. have a guide, as she did, to a richer and more God-principled family life. Debbie Fuller, the first author, spent 20 plus years home schooling her three children who are now successful adults in their respective field of study. Debbie also served as a missionary with Hope for the Family in Romania. She is a free lance writer who has worked for Christian Hollywood. Fuller has written a number of books and is currently working on a blog for Linked in Learning. By far the most rewarding and exciting thing Fuller has done thus far with her gift for writing is having the opportunity to write The Chrisagis Brothers family story with them. In writing this book she found healing for herself. Debbie prays that all who read it will find that same healing through Christ. Brian and Shawn Chrisagis, co-authors, are identical twins who were never to be born. Their life changing testimony and ministry of 35 years travels the world. They have appeared on every Christian Network and had their own TV series, radio shows, and TV specials. The brothers are best known as recording artists who have been nominated for many awards and won as the best duo in Christian Music by the Extraordinary People Awards. They have created their own events such as Legends in Christian Music, All That Glitters Conferences, and Hollywood Legends events. Both Brian and Shawn are ordained ministers, portrait and cartoon artists, models and actors. Visit www.chrisagisbrothersministries.org to learn more. Through life’s joys, heartaches, and tragedies Pat Elston has listened to the voice of the Lord and written poetry, devotionals and short stories for more than 30 years. As you open your mind to the boundless love of God, your heart will be touched and inspired through this gifted, talented and poetic writer. Journey with her as she shares her heart and the love that God has for His children. She is a long-time member of Calvary Assembly, a member of the Florida Writers Association and president of the Adventures in Christian Writing Group. She published the book, “Treasures from the Heart” (a compilation of poems written by members of Calvary Assembly and other churches in the area). Patricia and her husband, Ray recently celebrated their 50th wedding anniversary. She is the mother of Cathy, Joe, and Sherrie, grandmother of Joshua, Jessica, Joey and Amy, an aunt, sister and friend to many! Glenna Ritenour is one our youngest authors. She is a long-time hair stylist who decided to take the plunge into publishing her God-inspired stories. Her experience and God's inspirational call to write has come forth in, Should I Just Curl Up and Dye? to bring hope and encouragement to others. wisdom from young and old. With or without finding the secret ingredient...enjoy My Leis upon the Water! Margi Everett, a native Floridian, has long been involved with art in various forms. In school and college, art classes were more fun than work. During a long teaching career, the images conveyed by written words became her focus. Her favorite poet is Emily Dickinson, and Margi sometimes performed for her classes a one- woman show from her own script, revealing some glimpses of the inner life of the recluse. During tough times in her personal life, Margi has turned her heart to understanding the love of God revealed in the life, death and resurrection of Jesus Christ. All along the way she has perceived the hand of God in beauties of nature, from the simple pine cone to the pulsing tides of the ocean. The calendar includes some of the photographs, poems and meditations taken as samples from her life. The click of the camera and the moment of personal insight are like a hummingbird-quick and breath-taking. Enjoy a small glimpse of her legacy! Connie Arnold writes to inspire, encourage and uplift those who are experiencing difficulties in their lives. The author of Beautiful Moments of Joy & Peace and Abiding Hope & Love, and her new poetry book, Abundant Comfort and Grace, promises to be her best yet. Facing her own challenges since her diagnosis of Lupus in 1987, with this book she brings understanding, compassion, and empathy to her readers. Connie lives in North Carolina with her husband Tom, and has two children and three grandsons. She has recently completed a children’s book, Animal Sounds Mix-up, soon to be released. Music was the instrument used by God to bring forth her gift of poetry. In addition to her writing, she is an accomplished musician and a volunteer for the Lupus Foundation of America. ​To schedule a speaking engagement or book signing, please email: beautifulmomentsofjoyandpeace@yahoo.com. Apostle Randy Newberry and his wife, Linda are the founders of Wake Up Evangelistic Ministries, Inc. They are currently headquartered in Lakeland, Florida. Randy was serving the Lord Jesus since his salvation call in 1975 and answered the call to preach in 1979. Together, they have walked in all of the five-fold ministry offices and currently serve the Body of Christ in an apostolic capacity. Working with several ministries in the United States, India, and Haiti, they help to build, establish and release the Kingdom of God within individuals and congregations through a powerful and dynamic demonstration of the ministry of revelation and the love of God. As an author, Randy's books are in great demand because of the revelation knowledge that is poured out by the Spirit Himself. His writing style is easy to read and straight forward, bringing the Word of God to another dimension and activating the Kingdom of God within the readers. His books are being translated into other languages upon demand and will be available soon to countries around the world. Born in 1926 in Western North Carolina, her early years were spent in a little two-room log cabin a few miles from the Tennessee line. She was the third of eight children. Back in those days, there were no paved roads, electricity or radios where they lived. They walked to school, made up their own games and worked hard on the farm. Early in life, she learned to read and appreciate the written word. She loved poetry and memorized much of what she read. At the age of seventeen, she graduated from high school and went to Baltimore where she worked as a welder in the shipyard. This occurred in 1943 during the war effort. It was quite an experience for one who had led a sheltered life and had never been away from home and family. Edris and her husband settled in Weaverville, North Carolina and reared five children. They were blessed with eight grandchildren and two great granddaughters. When her children grew up and moved away, she enrolled in a creative writing class and also began to paint. It was a great remedy for the “empty nest” syndrome. She found that she could touch people with things she wrote! The fact that she sometimes laughed and cried as she wrote might have helped communicate her joys and sorrows. The encouragement she had from her husband and family inspired her. She continued writing for the joy of sharing her writings and reading the writings of others. The writing and painting in her later years proves it is never too late to start something new, no matter what the age! Deacon Aileen Pallister Walther is the Director of the Center for Christian Women’s Spirituality, a nonprofit organization dedicated to serving women through education, service and fund raising in the areas of domestic violence and other kinds of outreach. One of these areas is a bookstore/tea room/gift shop named after Lydia, the seller of purple and first European convert to Christianity, in addition to being the leader of a women’s prayer group in Philippi, Greece. Lydia’s Place is a cozy place to peruse books, have tea with lunch, and attend a book signing of a local or more distant author. Aileen has been a writer since she can remember, and is the editor and principle author of Writing Your Life Story with God as Your Guide. She led a journal writing group and discussion group on women in the Bible while serving as a deacon at Holy Family Episcopal Church in Orlando, Florida. She is also one of the writers and the editor of The Alpha and Omega of Spiritual Journal Writing, The Icebreaker for Opening Memories of Your Life, God’s People in Prayer, 32 Women of Influence in the Bible, and Women Remembered in Scripture and Today (on 52 women). Deacon Aileen is a graduate of Asbury Theological Seminary and a student at the University of South’s in the School of Theology. She lives in Sanford with her two birds. Jessie Lourine Crockett always loves to write. She began exploring word building, especially with poetry as a young girl in Winston-Salem, North Carolina where she still lives. Presently at the great grandmother stage of life, she continues to write in a variety of ways, representing both avocation and service. She writes for an area seniors' group called Pensters, for her CME church and for local newspapers.